Plan to involve your kids in your holiday meal preparation. It is a great opportunity to make memories, foster relationship with your children by sharing your kitchen experiences and equip your kids with kitchen skills all at the same time. From selecting recipes and shopping to for ingredients to greasing pans and stirring it all together, parents who cook with their kids create magical moments that will be cherished for years. 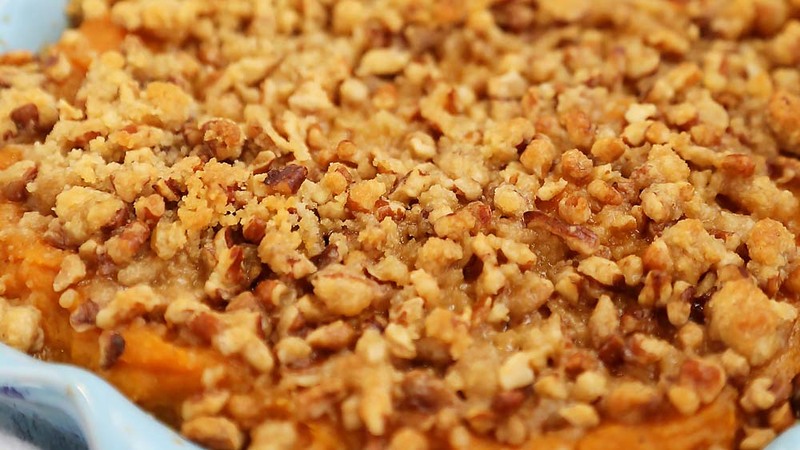 This month, Michelle Rivera, CK Lead Case Management Supervisor, shares her family’s recipe for Sweet Potato Casserole. Please enjoy! Preheat oven to 350 degrees. Grease 9 x 12-inch baking dish with margarine and set aside. In a small mixing bowl combine pecans, margarine, flour and sugar until well mixed. Set aside. In a medium mixing bowl combine cooked, mashed sweet potatoes with margarine, sugar and salt. In a separate mixing bowl beat eggs. Add vanilla and flour to beaten eggs. Add egg mixture to the sweet potato mixture in the medium mixing bowl and stir until well combined. Pour mixture into the previously greased baking dish and spread evenly across the dish. Spread prepared topping evenly across the top of the sweet potato mixture. Place baking dish in your preheated oven (350 degrees) and bake for 30-35 minutes, uncovered. Remove from oven when done baking. Allow to cool. Enjoy!